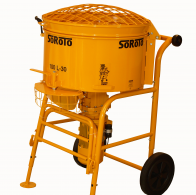 There’s no need to carry mixing materials to remote corners –SoRoTo mixer can be taken right to where the work is being done. 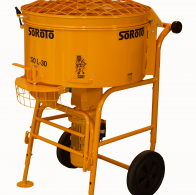 The SoRoTo mixer with its specialised paddles can mix all materials from sand and cement to self-level epoxies. The SoRoTo Mixer is easy to transport and to handle. It runs on single phase voltage 110 volts and weighs only 90 kg.